Report of the Superintendant of the United States Coast Survey, (Washington) 1852. Very good. Minor discoloration and verso repair along original fold lines. Blank on verso. Rumsey 2470.042. 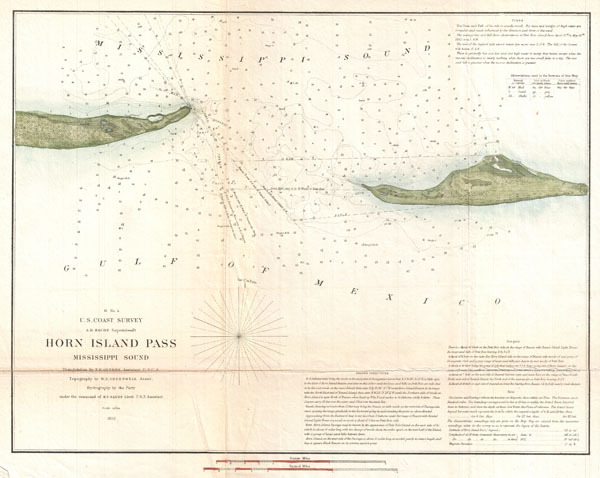 Guthorn, P. J., United States Coastal Charts 1763-1861, p. 169. Phillips (Atlases) 1269.